one easy to roll the baton. Really good call on the Finnish light plane from the previous page. The MiG above - the STOL MiG-23 PD? or it could be the: MiG-23-01 "Faithless"
I can be wrong But I'm going to give it to Graeme who said it first. We will see if Dhumphrey complains and we learn from the debate. 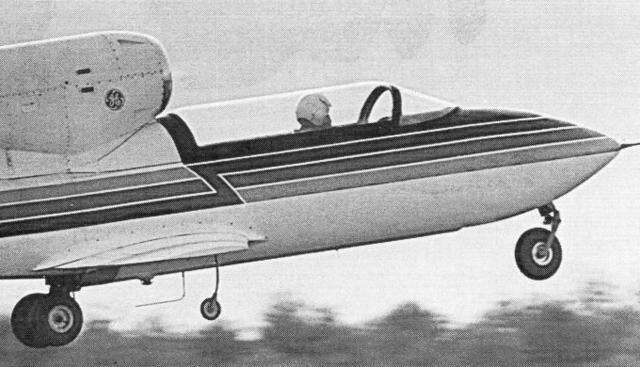 Mike; The classic answer could also have been valid since its dorsal hatch for the STOL is the same that was later developed in the VTOL for Yak-141 to later become that chubby and gray sparrow that we all know. No worries locopistion, if it's the same plane, I agree it's Graeme's turn. twing? jet? or scary glider? Yeah, a jet homebuilt - only one built. 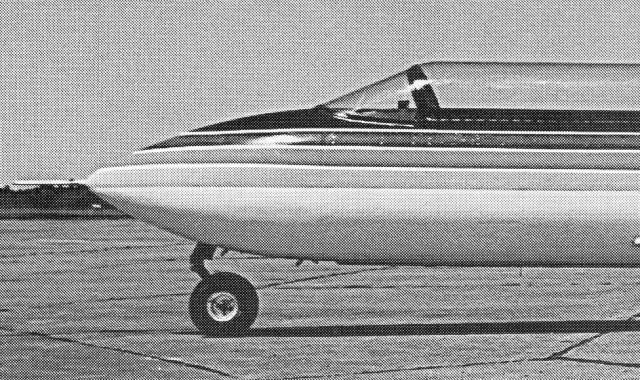 Powered by one General Electric J-85. From the US of A. Is there a reason we can't see the aft end? Is this a new build or a conversion of something? Is there a reason we can't see the aft end? Yes, I'm attempting to avoid showing the N registration. Is this a new build or a conversion of something? I will never doubt the courage of the pilot that flew that plane.